InsurTech will both save the industry if we embrace it and call it innovation, or it will destroy the industry as we know it today… if we ignore it and treat it as disruption. There’s been a lot of hype around InsurTech in recent months, with more and more specialized industry events appearing, but what exactly is it? 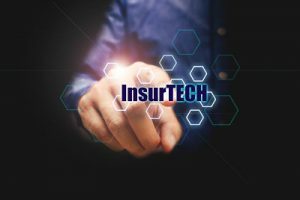 Many people think InsurTech is just a buzzword for the technology behind insurance, but it is in fact “a term applied to the many segments of new technology that are disrupting the insurance space.” This technology comes in many forms, including fitness trackers, end-to-end claim management solutions, online policy handling, artificial intelligence, and smartphone apps, among other things. 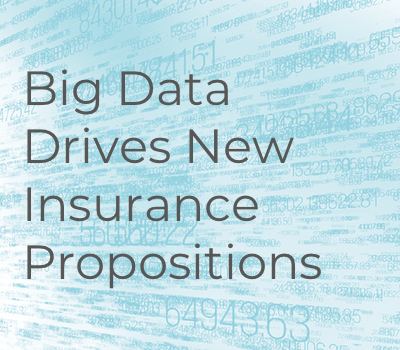 In short, InsurTech is innovative technology that is transforming the insurance industry. It’s no shock that InsurTech has surfaced as society has become so technology driven and technology dependent. Change is taking place across the entire life cycle of a claim across a broad range of insurance disciplines, from auto and home insurance, right through to life and health insurance. The entire process is changing, from the way policyholders buy policies, to how they make a claim, and how insurers are using technology to improve the claims process behind the scenes. With the power of InsurTech, customers can engage in more self-service methods by engaging with their insurer from first notice of loss, insurers are using drones to evaluate the damage of houses in the event of natural disasters, and health insurance company, Oscar, allows customers who use fitness trackers to avail of discounts on their premiums. At the essence of this revolution is the collection, integration of, and the processing of data, and the benefits of this can be seen across the industry. Cost & Time Savings: There is no need for claims administrators to log in to multiple systems as data can flow through the integrated ecosystem, saving your team a lot of time and effort. Automated workflows can trigger tasks at certain stages of the claim journey to generate documents and emails required to collect the necessary information for claim processing, or as a reminder to call a claimant to check on the progress of their illness or injury. Customers can also benefit by accessing their claim information in real-time, using online portals or mobile applications providing them with the information they need at their fingertips, removing the reliance from your call centers. They can also upload required documents more quickly to allow assessors access to them in a timelier manner. Fraud Mitigation: Insurance technology makes it easier to conduct identity checking, with multi-factor authentication, ensuring the policyholder is the claimant. As data is better integrated, it is easier to conduct extensive analysis of claim data to detect fraud patterns. Improved Underwriting: With better access to real-time claim data, it is easier to analyze data to mitigate risk and improve risk scoring. This leads to better profitability while also being able to offer more competitive rates to policyholders. More Efficient & Transparent Claims Handling: Electronically stored claim data and the integration of this data throughout the claim’s lifecycle improves transparency. All data can be easily accessed by all parties who need access: when a claimant calls the call center, the rep can answer their questions, the claim assessor can access all data in one central location, and real-time updates can be pushed out to policyholders, so they can track their claim status. How Can you Leverage InsurTech? Analyze your Claim Data: If you are using paper files, would you consider adopting electronic storage? Can the flow of information be improved using integration? Consider Customer Engagement: What do your consumers expect when they engage with you? Do your call center staff have access to real-time claim data? Even better can you roll out a customer portal, so claimants can track their claim status themselves? Focus on your Policies & Benefits: Who are your customers? When and where are they connecting with you, and how can you amaze them? It is no longer acceptable to have one-size fits all strategy, tailored offerings are expected. Take Advantage of Big Data: The data is out there (in abundance), it is up to you to utilize this to gain a competitive advantage in this booming industry. Artificial Intelligence (AI): AI can help tailor products to customers’ needs based on their demographic information or historical claim data. Chatbots: More and more industries are using chatbots to engage with website visitors. These chatbots can help answer frequently asked questions, or they can direct users towards other avenues for help such as a call center. Internet of things (IoT): With wearable devices and smart homes becoming increasingly popular, insurers can access detailed data about consumers. Leveraging this data can help you to develop and provide the right products and services, to the right people at the right time. Peer-to-Peer (P2P): Also known as ‘social’ insurance, P2P refers to the process where individuals or companies come together, pooling their premiums to insure against risk. On-Demand Protection: On-demand protection is insurance cover that is available quickly and simply at the click of a button. Trov has delivered a successful model which allows policyholders to insure the things they want, when they want, directly from their smartphone. At ClaimVantage we have a ringfenced R&D team, which focus on three elements of product development. Of course, our core software solutions that our customers operate on today are of the utmost importance, so our team spends over 50% of their time developing this offering to meet the emerging industry challenges using a customer-partnership approach. 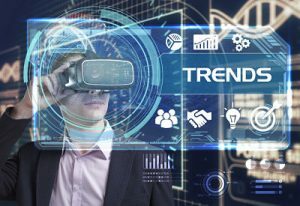 The rest of the time is split between two types of innovation: Adjacent Innovation which focuses on expanding capabilities to support new markets and Disruptive Innovation, which anticipates and delivers future technology. To stay on top of these advances, sign up to our newsletter. InsurTech is here, and it’s here to stay.